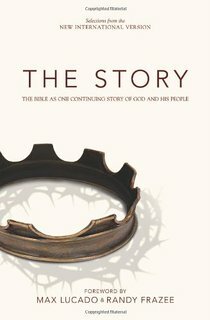 On Tuesdays from 10:30 AM to 11:30 AM, we will read The Story: The Bible as One Continuing Story of God and His People. It will be helpful participants bring their own copy of this book, as well as a Bible. With each of these studies (especially the one on Tuesdays), the goal is to not rush our way through the Bible. Instead, we will mine the depth of Scripture at a deliberate pace. It’s conceivable the Tuesday study could last for a couple of years, given the holiday and other breaks. But that’s okay! Also, some are afraid if they miss one session they will fall behind to the degree that they never return. Please do not slip into this mindset. There is no cumulative final exam! Attendees will be able to easily fit back into place when life keeps them from missing a session. A service of Confirmation will be held on Sunday, June 9 at 4pm at St. Matthew’s Episcopal Church here in Saginaw. A: Confirmation is the rite in which we express a mature commitment to Christ, and receive strength from the Holy Spirit through prayer and the laying on of hands by a bishop. Q: What is required of those to be confirmed? A: It is required of those to be confirmed that they have been baptized, are sufficiently instructed in the Christian Faith, are penitent for their sins, and are ready to affirm their confession of Jesus Christ as Savior and Lord. 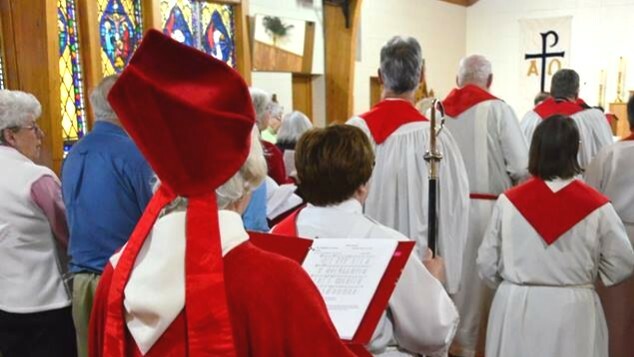 Those who have been Confirmed in another Christian tradition (e.g., Roman Catholic) are welcome to be Received into the Episcopal Church. Those who desire to Reaffirm their faith are welcome to this service, as well.